One of the neat things about having a blog is that it allows you to meet people you wouldn’t normally get to meet and can open the door to things you haven’t tried before. I have always been partial to my Swedish goggles, but thanks to a discussion on Twitter with the team at Nootca, I have been given the opportunity to review all three of their goggles! I decided to start with the Nootca Eleven because they are their most popular frame amongst elite and amateur triathletes. Before I begin, I want to note that I am not sponsored (or paid) by Nootca and the following review is my own opinion. Opening a pair of Nootca goggles is quite the experience. It reminded me of opening a laptop or an iPhone. I’ve never owned goggles that came in their own box, let alone with their own protective pouch before. The instructions were easy to understand and access. Because I knew I would be reviewing these goggles, I was careful to read everything and follow the assembly instructions rather than wing it like I normally would. For what it is worth, they’d be easy to assemble without instructions too. They came with several different width nosepieces. The first nosepiece I put on was a little too wide, but the smaller one fit very well. Nootca Elevens have a silicone gasket, which is very comfortable on the eye. They stay in place when you push off the wall and don’t fall apart like foam gaskets. These are a comfortable pair of goggles for novices as well as elite swimmers/triathletes. Nootca Elevens didn’t limit my peripheral vision. I could easily see what was happening around me, which is important, especially if you’re swimming in open water! Check out this post on the Nootca blog regarding lens clarity. Nootca Elevens have three different color lenses available. The clear lenses are great for indoor use or overcast days. The brown lenses are best for low light/overcast conditions during outdoor use. They even filter blue light to help increase contrast, which is pretty cool. The green/smoke color lenses are best for bright, sunny days because they help reduce glare. Even though their are only three colors available, they cover a wide range of conditions. Nootca Elevens are easy to adjust and fit to the eye. I have eyes that are close together and sometimes goggles are still too wide for me, even with the smallest nosepiece. That was not a problem for me with this pair of goggles. They had good suction and stayed where I put them so leaking was not an issue. Nootca Elevens have an anti-fog lens. Now, I have yet to find a pair of goggles that are anti-fog for very long, but I did find that if I kept the inside of the goggles dry the anti-fog lasted longer into my workout than other goggles. They did fog up when I got my heart rate up, but I can’t hold that against them because I don’t know of any goggles that don’t do that. The Nootca Elevens retail for $18, which is little less expensive than a pair of Speedo Vanquishers on the Speedo website. The Nootca Elevens work for any level swimmer/triathlete. They are also good for youth athletes because they can be fit for a narrow face (or close eyes like mine) without problem. After swimming with these goggles, I understand why they appeal to such a wide range of triathlete. The Nootca Elevens come with a protective pouch to prevent them from being scratched. I thought the pouch system worked very well. The team at Nootca is easy to contact and the company is growing. Initially, I had a conversation with them on Twitter and that progressed until I began corresponding with Steven, the owner/founder of Nootca via e-mail. I think they have come a long way in the last year but are not too big for the the little guy. They reach out to swimmers/triathletes via social media and also have a blog on their website. If you have an idea on how to improve their goggles, I know they’d love to hear from you! Each pair of Nootca Elevens comes with three nosepieces. If you’re like me, and only one nosepiece fits your face, you’ll have to buy a new pair of goggles each time a nosepiece breaks. Nootca Elevens will sink if they get knocked off during a race. The anti-fog lenses on Nootca Elevens is good, but it isn’t perfect. You can extend the life of the Anti-Fog by rinsing the goggles with distilled water after each use, but I never did that. Fog doesn’t bother me enough to take that extra step. If someone out there does rinse their goggles with distilled water, please let me know if that extended the life of the anti-fog lens. Because I am expecting twins, I was unable to practice any dive starts with any of the Nootca goggles I tested. I would like to see how they stay on my face with a dive when I have the opportunity. I have not yet raced in a pair of Nootca goggles. I did get my heart rate up but I would like to wear them in either a meet, triathlon, open water event. In summary, I was very pleased with the Nootca Elevens. 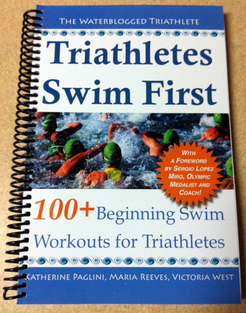 I would recommend them to all level triathlete and master swimmer. If you decide to use a pair of Nootca Elevens in competition, make sure you have a backup pair in reserve just in case a nosepiece breaks before the race starts. Since most triathlons begin in early morning, the clear or brown lenses are probably the best option unless you know you’ll be racing in very bright conditions. The silicone gasket requires no learning curve and is very comfortable from the get-go (unlike Swedish goggles that take some adjustment). Make sure you start your race with a dry pair of goggles if you want to maximize the anti-fog lens. I would also recommend Nootca Elevens to age group through senior level swimmers on club teams as both a practice goggle and competition goggle, particularly if the athlete is concerned with comfort and performance. ‹ USA Masters Swimming, Top Ten Lists, and a Big Congrats!